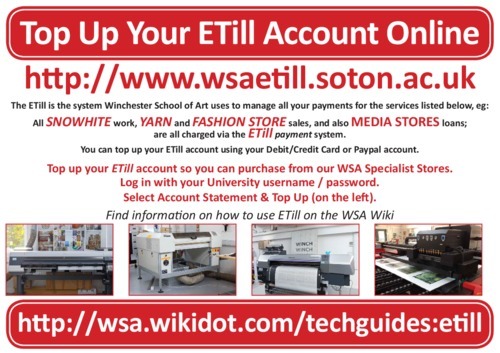 ETill is the name of the system WSA uses to manage all our loan and sale of specialist equipment and products. For example all your SnoWhite prints are charged via the ETill system as are Yarn and Fashion Store sales. Please note you can no longer top up at the finance office within WSA. My account is not working ?